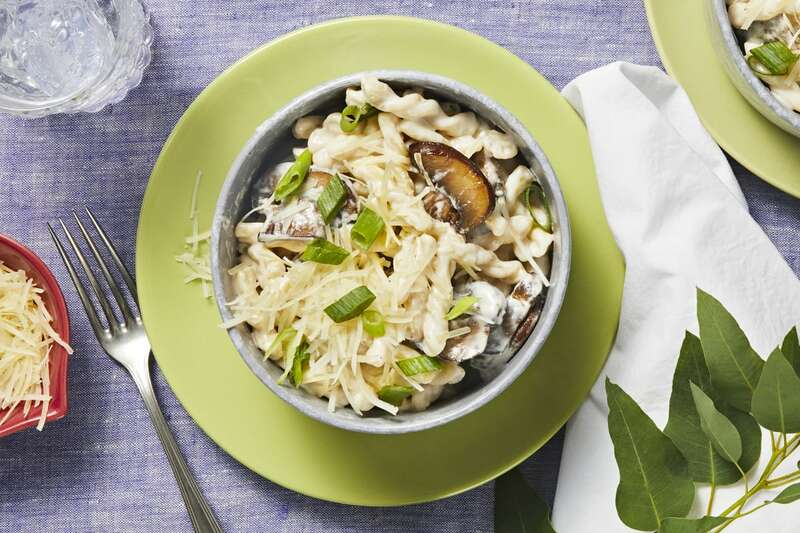 If you’re mad for mushrooms, a fan of fungi, or crazy for creminis, this pasta will treat you right: it’s loaded with ’shroom slices. They’re the flavor backbone of this recipe, bringing all those deep, earthy flavors that you know and love. 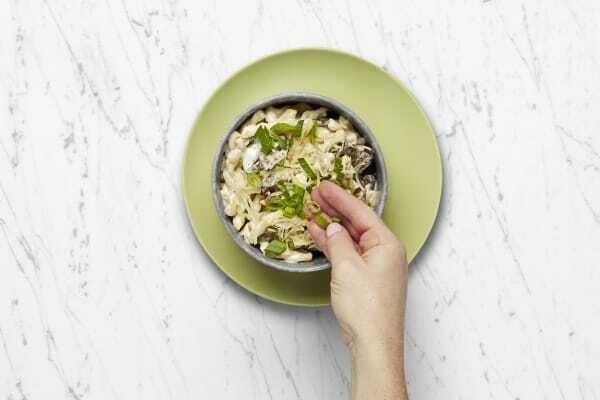 We’ve added springy fusilli spirals, a creamy garlic herb sauce, and a sprinkling of Parmesan cheese (mushrooms, pasta, and dairy are pretty much best friends, after all). Get ready for this umami bomb to make waves at your dinner table. Bring a medium pot of salted water to a boil. Wash and dry all produce. Trim, then thinly slice scallions, separating whites from greens. 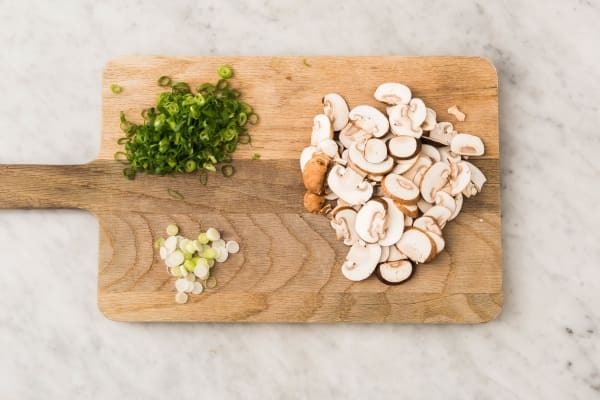 Thinly slice mushrooms (about ¼-inch-thick). Heat 1 TBSP olive oil in a large pan over medium-high heat. Add mushrooms; season with salt and pepper. Cook, stirring occasionally, until browned and slightly crispy, 5-7 minutes. Turn off heat; transfer to a paper-towel-lined plate. Rinse and wipe out pan. Once water boils, add gemelli to pot. Cook, stirring occasionally, until al dente, 9-11 minutes. Reserve 1 cup pasta cooking water, then drain. 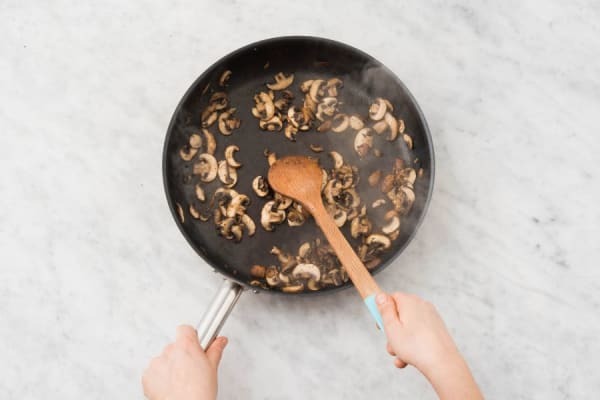 Melt 2 TBSP plain butter in same pan used to cook mushrooms. Add scallion whites and cook until just softened, 1-2 minutes. Add flour. Cook, stirring often, until lightly browned, about 2 minutes. 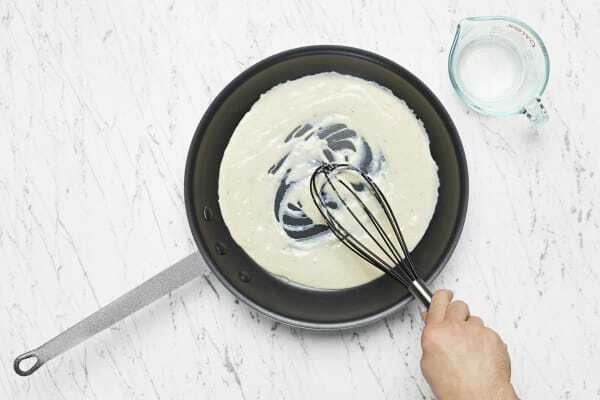 Whisk in milk and ⅓ cup pasta cooking water, making sure to eliminate any flour clumps. Let simmer until slightly thickened, 3-4 minutes. Stir cream cheese into pan until melted. Stir in mushrooms, gemelli, and garlic herb butter. Season with salt and pepper. TIP: Everything should be coated in a loose, creamy sauce. 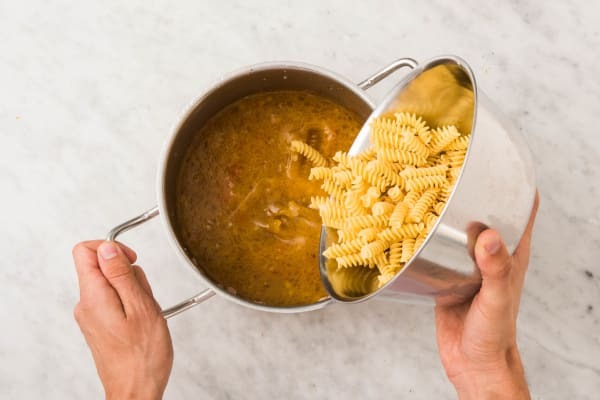 If very thick, add more pasta cooking water 1 TBSP at a time. 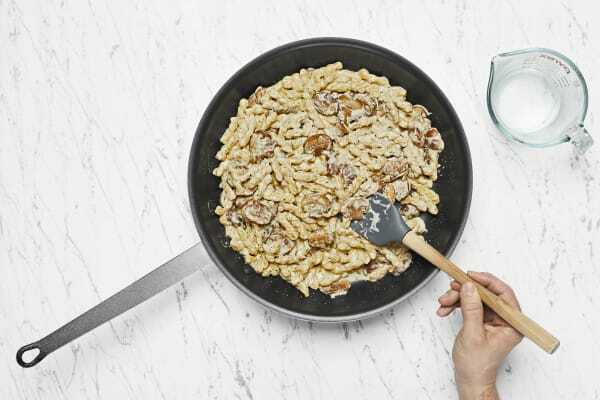 Divide pasta between plates and sprinkle with Parmesan. Garnish with scallion greens and serve.